Buy magic truffles Dragon's Dynamite - Selling magic trips for years! 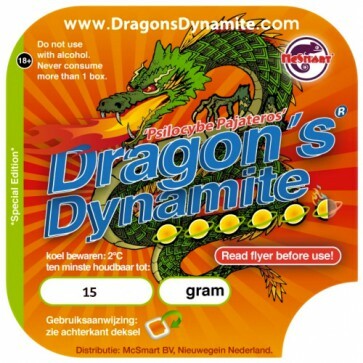 Dragon's Dynamite is amongst the strongest magic truffles in our catalog. In a small dose (5-10 grams) they will induce a happy and funny trip, like the others. 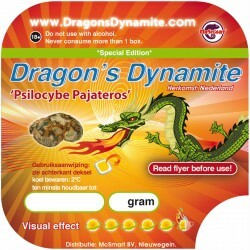 In a higher dose (15 grams) the Psilocybe Dragon's Dynamite will give a strong trip with deep colors. 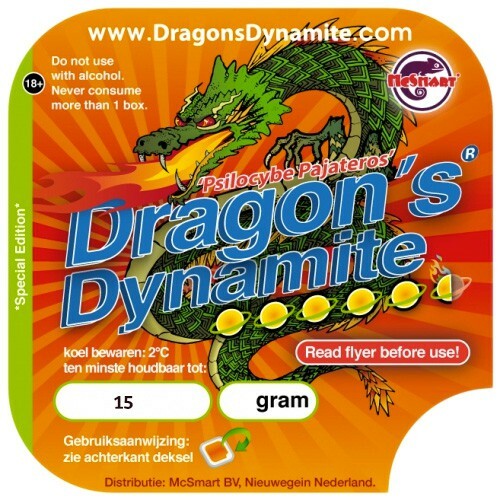 The Dragon Dynamite Truffle is considered to be for experienced trippers only. Dragon's Dynamite Truffles are known as very strong Truffles. They are not suitable for beginners. These gave me insomnia, then when I slept I had a HORRIBLE experience: nightmares like when you're sick and delirious with fever. No happy funny deep experience. Absolutely awful - would never take again. As others have commented, a bit strong on the stomach so maybe not for first time experiences but I can't fault the trip. 3 hours of good visuals and laughing, came up in about 30 mins and an easy tail off. Strong, rough on the stomach. Even 12 hours later, stomach is still feeling a bit off. Rock A never actually got to experience it as they couldn't kerp it down, so if you have a sensitive tummy, try the Atlantis truffles instead. Rock B, still found it hard on the stomach but they enjoyed it, and yes it was stronger. These rocks will think twice about ordering Dragons again, as it really is rough on their stomachs .....maybe try a tea. I've tried these truffles twice now and barely felt any change (2x 15 gr). Didn't eat a thing for 8 hours before taking the truffles and didn't use any other drugs that could have countered their effect. I ate them both times on the same day when they arrived (fresh) and didn't mix them with any other food. I've tried different types of mushrooms and truffles and almost always had a great time but these dragons just don't seem to work for me. This truffles are very strong! they give you a trip Very intense, spiritual , very colorful and with hallucinations . Very efficient ! Had most of a bag and thought: "I could have done the whole bag". Really lovely feeling, vivid colours and a lot of giggling. They're not very strong, compared to mushrooms, but still give you a sense of cleansing for your mind. After a solid 15 gram dose I was in several other dimensions and found some deep clarity and refreshment on life that I was seeking. Thanks guys, keep up the great products!